Oscilloclocks are special. Oscilloclocks are unique. We know this. But in November 2015, a request for something exceptionally special and unique arrived from [Andrew] – he wanted me to craft a Metropolis movie themed timepiece! Well, Andrew was building a very large space at his home dedicated to the Metropolis movie. It would be a full-on “man cave”, with a lounge/bar, music and video venue, mad scientist lab, and collection display space. The mad scientist part of the building would house various scientific demonstrations based on vintage physics or chemistry experiments, with a dose of mad science thrown in. But there was one thing missing – a Metropolis 10-hour clock. 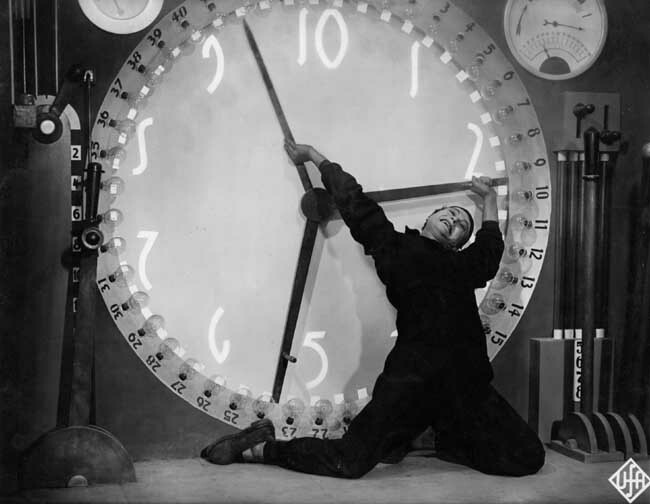 In the Metropolis movie, the Rulers enjoy their lives in normal time, but the Workers are forced to perform their heavy-labour duties in 2 shifts of 10 ‘worker hours’ each day. 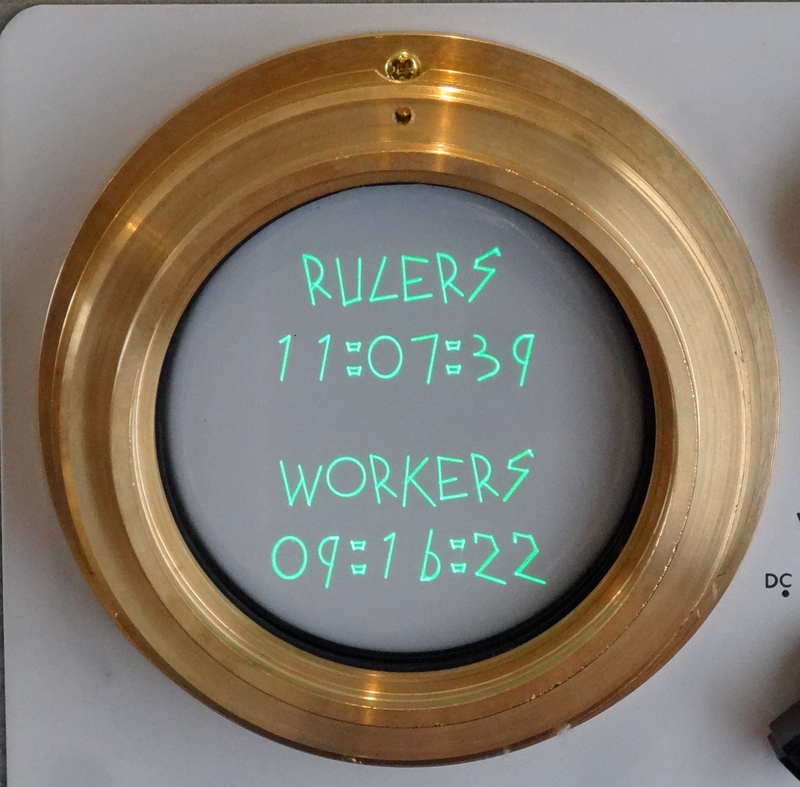 The Workers’ clocks are thus labelled with only 10 hours. 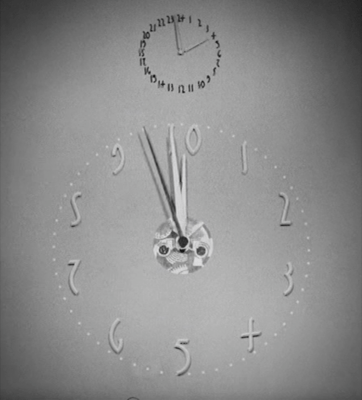 The 10-hour clock features in multiple scenes throughout the movie, as clear symbology that the controlling and oppressive Masters can even manipulate Time – if only on the surface! [Andrew] wanted to commission an Oscilloclock that would display an authentic 10-hour Worker clock face with accurate hour, second and minute hand movement, as well as the normal 12 (24) hour Ruler clock faces. He also wanted all numerals and characters rendered in the Metropolis font. This could be THE talking piece of the man-cave! After 8 months of discussion and development, the first Metropolis Clock was finally delivered. 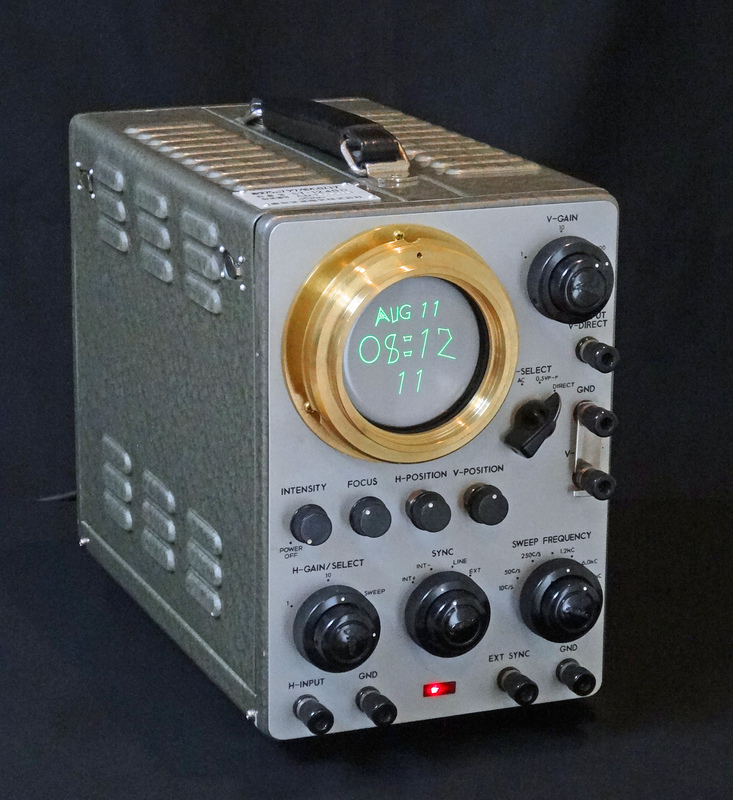 This unit is based on the same beautiful Toshiba ST-1248D vintage oscilloscope model used in a previous conversion. However, it incorporates some wonderful new features, including LED-backlit valves and an external input feature to support Lissajous figures generated by an iPhone or other device! The clock keeps both ‘normal’ and Metropolis 10-hour time! Realistic LED backlighting – enjoy the valves without actually heating them up! Each of the new features built out for this exotic creation deserves a post on its own. 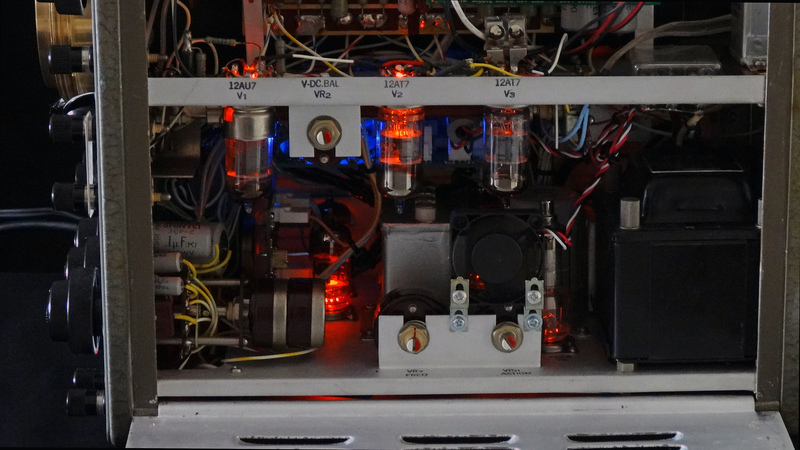 Stay tuned for many more pictures and information about Lissajous inputs, backlit valves, and Metropolis time switching! Also, careful readers would notice my use of the phrase “first Metropolis Oscilloclock”. Andrew was so delighted with the Toshiba ST-1248D unit that he commissioned a second Metropolis clock with even more firmware enhancements, based on the Tektronix 520A. Another topic for another day! See the Metropolis Archive for all other posts in this series! 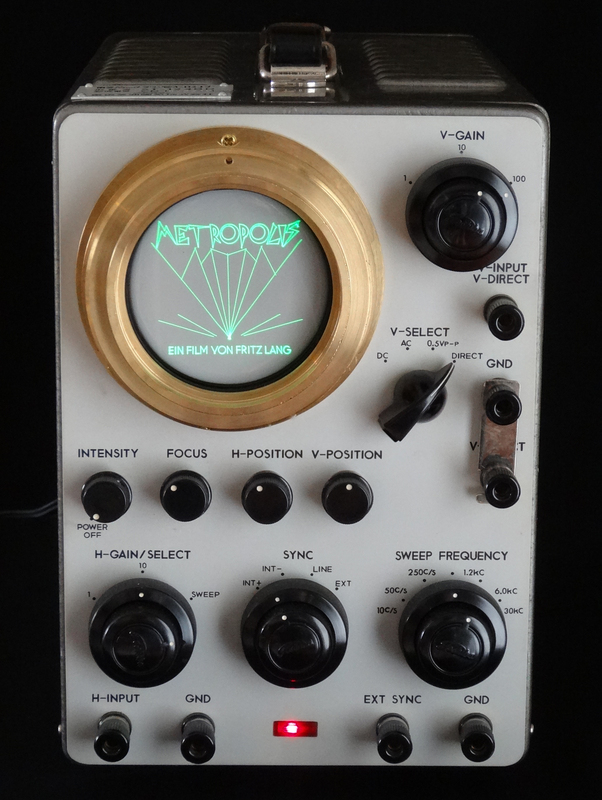 Metropolis is just fantastic as a theme for a custom Oscilloclock. But if you have a different passion that needs horological augmentation, let me know!